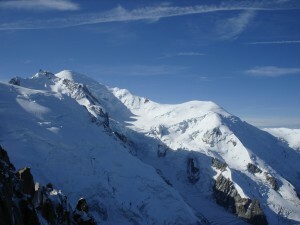 This expedition is 66km along the famous Grand Randonee Tour du Mont Blanc circuit. Passing through 3 countries in 5 days. This is a challenging trek and involves covering around 20km and 8 hours of walking a day, we will be ascending over mountain passes at 2500m+ so a good level of fitness is required. That said, we will be travelling at a pace suitable for the group so don’t be put off if you’re concerned that you’ll be left behind! We will visit the famous mountain valleys of Chamonix, Val Ferret and Val D’Aosta; each with its own different style and atmosphere. Along the route there will be plenty of time to take in the scenery, stunning majestic peaks of Mont Blanc, Aiguille du Tour, Mont Dolent and the Grandes Jorasses; amazing glaciers and look at the many varieties of alpine plant and wildlife along the way. During the trek we will be staying in comfortable mountain huts, where breakfast, lunch and dinner will be provided. 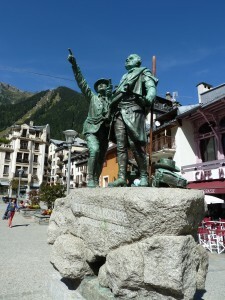 Fly into Geneva, transfer into the Chamonix valley, with plenty of time to explore Chamonix and the views of Mont Blanc from the statue of Balmat showing Saussure the route to the summit. Starting in the morning we head out onto the trail taking the views of the Mont Blanc massif before crossing over into Switzerland. We then ascend the Col d’Arpette at 2665m; this is the highest col crossing of the trek, after which we arrive into the Swiss town of Champex. Continuing along the Grand Randonee Tour du Mont Blanc, into the valley of Val Ferret – we head south to La Fouly and views of Mont Dolent and the Saleina glacier. We overnight at our mountain hut in La Fouly through the untouched scenery of timber chalets, hay barns and traditional alpine farming unaffected by the tourism of the bigger valleys. We leave La Fouly and climb over the Col Ferret at 2537m into Italy. From the col we can view the entire Italian side of the Mont Blanc massif, stunning views of the Grandes Jorasses and Pre de Bar glacier and into the valley of Val D’Aosta. Transfer from Italy back to Chamonix to spend the remainder of the time as you wish. Depending on flight times, more time to explore Chamonix and last minute photos before transferring back to Geneva. The price of the trek is £650, to which a deposit of £200 is required at the time of booking and the final payment required no later than 6 weeks before the start of the trek. UIMLA qualified International Mountain Leader, 2x nights accommodation in Chamonix, 2x nights accommodation in mountain huts, meals whilst in the mountain huts and all transfers. Flights, personal insurance, ad hoc expenses such as drinks / snacks along the route.